Time to go romantic, go mysterious and maybe throw in a surprise. Ask your partner out for a movie and then surprise them with a “Private Movie Screening”, along with a candle light dinner! The whole experience is curated - a perfect private movie set-up along with 3 course dinner, decorations and private butler. 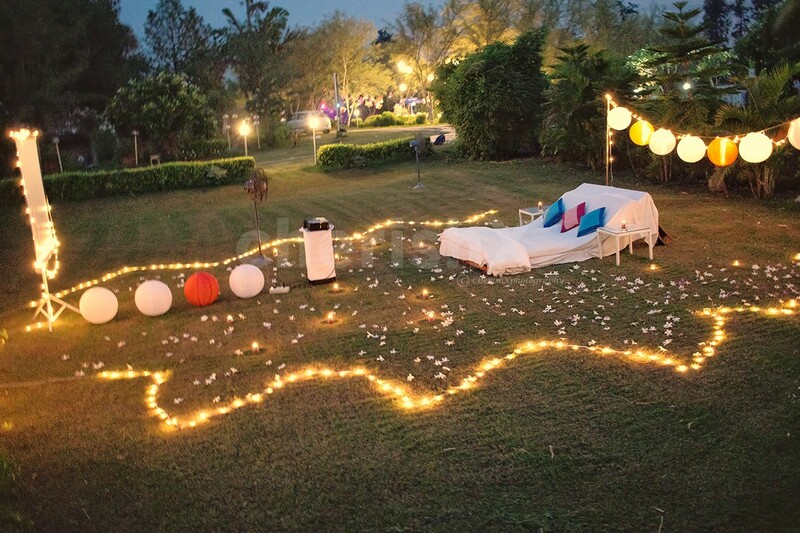 Set in the middle of garden with beautiful and comfortable mattresses. 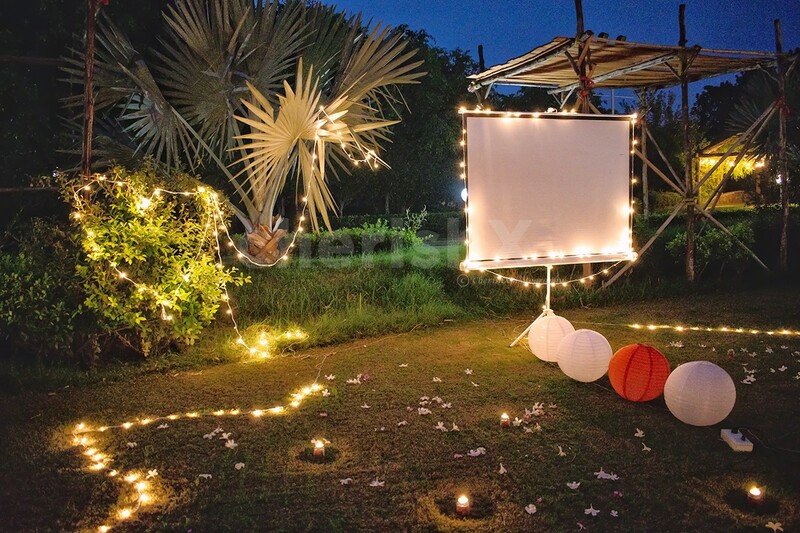 Your movie screening venue is a beautiful farmhouse located on outskirts of Delhi.The large garden will be set up mattresses and pillows for your private theatre. 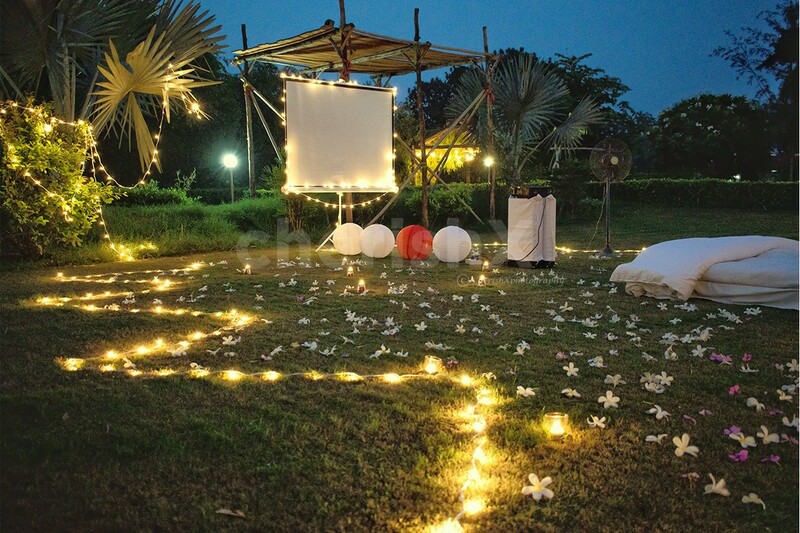 CherishX will provide the private movie screening set-up and a special candlelight dinner. And you would need to bring a movie of your choice on a pendrive. We suggest you surprise your loved one with their favourite movie, or one of those popular ones... Titanic, 50 first dates, Jab we met, Dil chahta hai types. 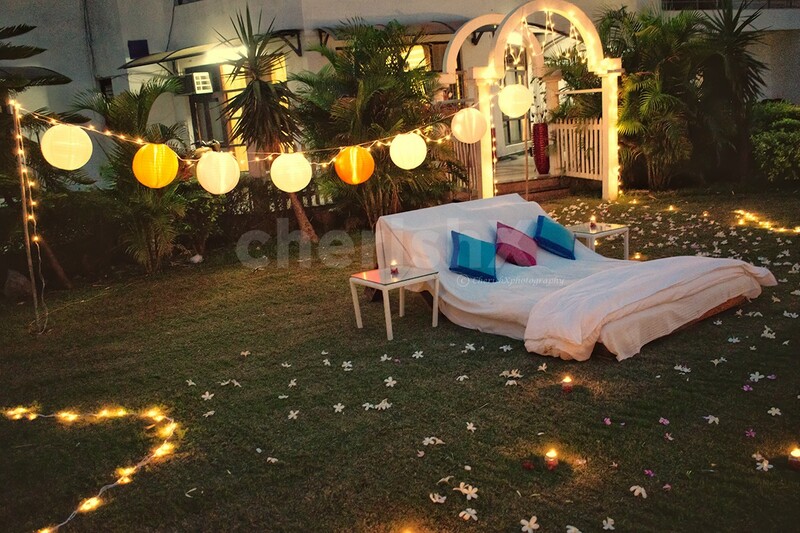 Private garden area with candles, flower petal, lanterns and fairy light decorations. 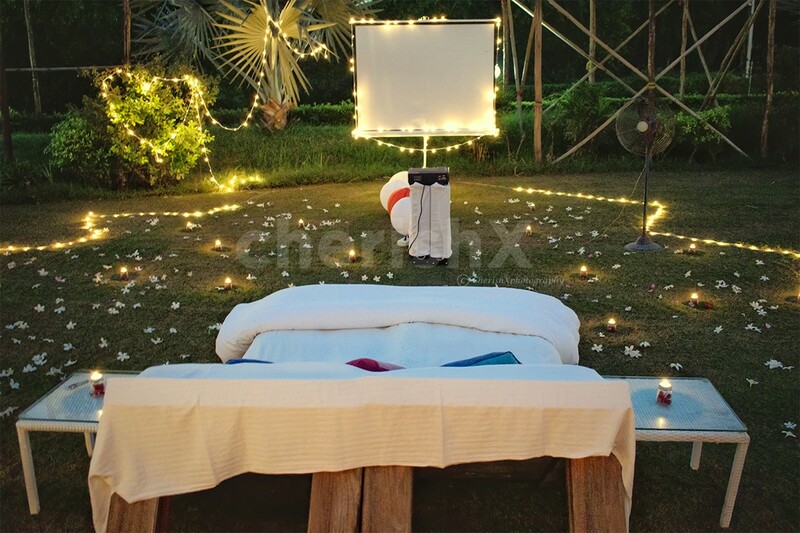 Movie screening set-up - mattresses, comfy cushions, projector, screen & speakers. 3 course candlelight dinner- north indian cuisine, 2 starters, 2 mains, 2 desserts & unlimited assorted breads. On Tuesdays and religious festivals, the non-veg meal cannot be made available. Add a photographer and get 12 edited pictures for your romantic experience. The photographer will not wait more than 30 minutes at the location from the chosen time slot.